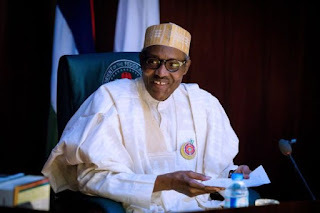 President Muhammadu Buhari on Friday promised that his administration would not forget citizens in their time of distress. Buhari, represented by his Senior Special Assistant on Media and Publicity, Garba Shehu, spoke while receiving Internally Displaced Persons from the Kuchingoro Camp, in the Federal Capital Territory at the Presidential Villa, Abuja. The IDPs are getting set to return to their communities in the North-East. According to a statement by the Deputy Director (Information), State House, Attah Esa, the President promised to continue to work for the betterment and security of the people. He assured the IDPs that his administration would leave no stone unturned in restoring their devastated communities for their immediate and safe return. “While congratulating the 2,000 IDPs at the Kuchingoro Camp, in the Federal Capital Territory, who are getting set to return to their communities in the North-East, the President assured all Nigerians that his administration would not forget citizens in their time of distress and would continue to work for the betterment and security of the people,” the statement read. Buhari also used the opportunity to thank members of the international community and Nigerians, including Aliko Dangote, Gen. Theophilus Danjuma (retd. ), and other philanthropists for their sustained efforts towards the reconstruction and rehabilitation of destroyed communities in the North-East. Mrs. Maryam Nuhu, the leader of the IDPs, who were mainly women and children, thanked the Buhari-led administration for the ongoing reconstruction of their communities. “Our towns and villages have been cleared of these terrorists. We can now confidently return home and pick up our lives from the points where we will meet them,” she said.